We are now moving on to High Point Market, Part 2. I knew you would all fall in love with the Oly showroom from my last post. It was off the charts gorgeous. Today, I'm going to share some other fun things I spotted at market. Hope you enjoy this round of goodness as well! One of the highlights of the trip was meeting one of my all-time favorite designers, Suzanne Kasler. 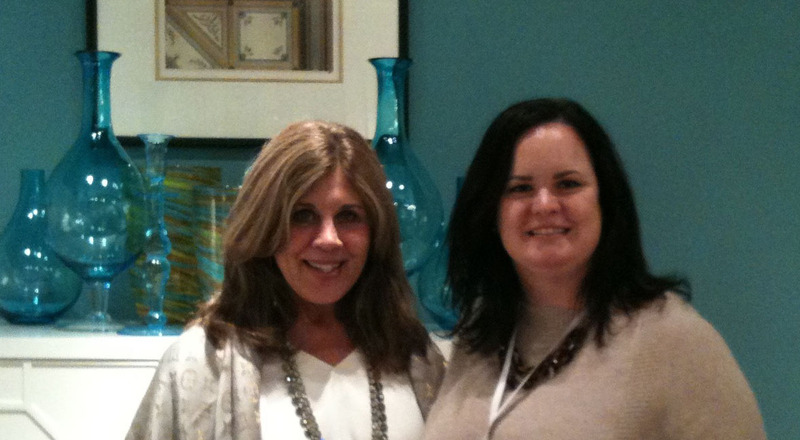 She was at the Hickory Chair showroom and was such a pleasure to meet in person. Of course, I told her how much I admire her and her new design book! She shared some new fabrics with me that she recently launched for Lee Jofa. They are so beautiful. I know, another bad iPhone photo, but at least I got one with her. My camera battery died and I forgot to pack the charger. If you have ever been to the Hickory Chair showroom at High Point, you'll know how unbelievable the place is. The most stunning pieces under one roof! I was lucky enough to have attended a party they had one night and met the most amazing people from the company. Loved them all so much! Yes, I am truly blessed to be in this business. 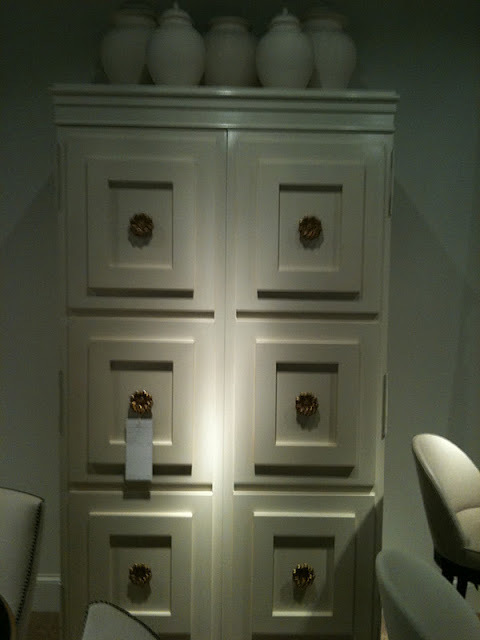 Moving on to some of the Hickory Chair furniture... Trust me when I say this Tuxedo Bar Cabinet was A-MAZ-ING in person! Yep, it's from Suzanne's collection! As were these Lille Benches, also designed by Suzanne. I WANT these so badly! 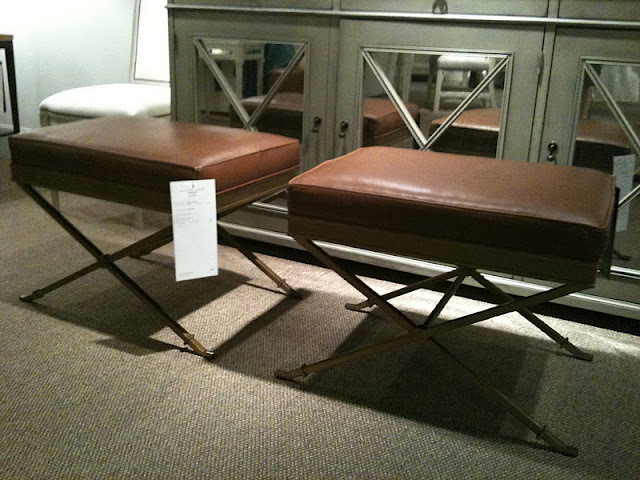 Another favorite showroom at market, Visual Comfort. It blows your mind to see it all in person! So, does this lamp look familiar to you all? It's the Gourd lamp I order for my office back in August and it's still on backorder until late December!!!! This is the large version, so I'll let this one pass since I ordered the smaller size. May have to get this Scallop chandie for a bedroom in the house. Looks even better in person! And, here's a new fixture that was introduced at market. Isn't it lovely?! Who loves Bungalow5? I know I do and here are a few pretties from their showroom. I have always loved the Jacqui side tables and these may also make it into my home. The gold ring pulls are divine! Another great vignette at Bungalow5. So much love here! Do you see anything you must have for your own home? Feel free to email me at info@mariannesimondesign.com and I can make it happen! That wraps up High Point Market - Part 2. Stayed tuned for Part 3... coming soon!